Let me start by sending everyone warm wishes for health in 2019. The start of each month means there is a new challenge at Creative Embellishments. 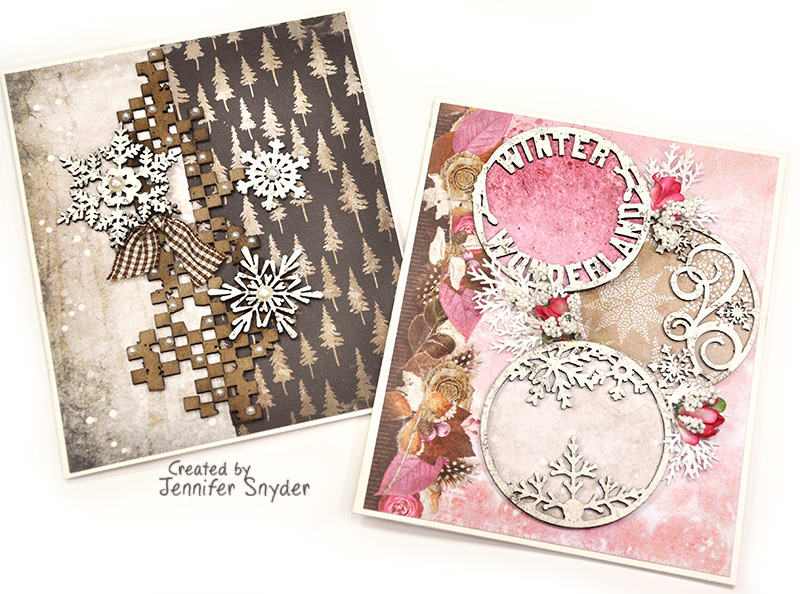 These cards are with my interpretation of the Creative Embellishments January Challenge with it's frosty beauty. The twist this month is to add snow to the projects and I have done that with pearls, and floral finishes. 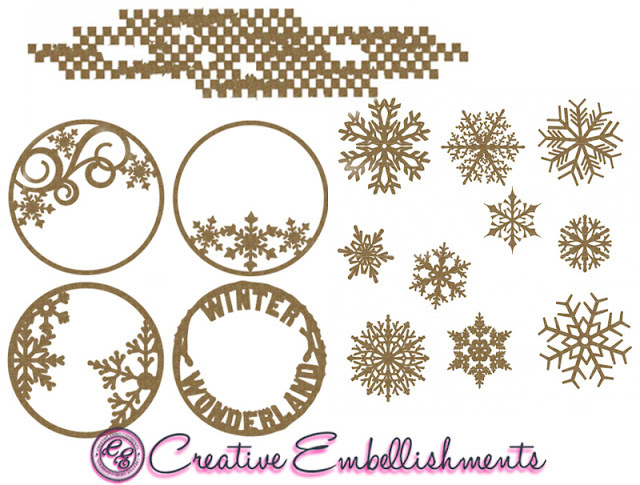 If you want to participate, you just need to be inspired by any element in the challenge image below and then create something using Creative Embellishments chipboard. 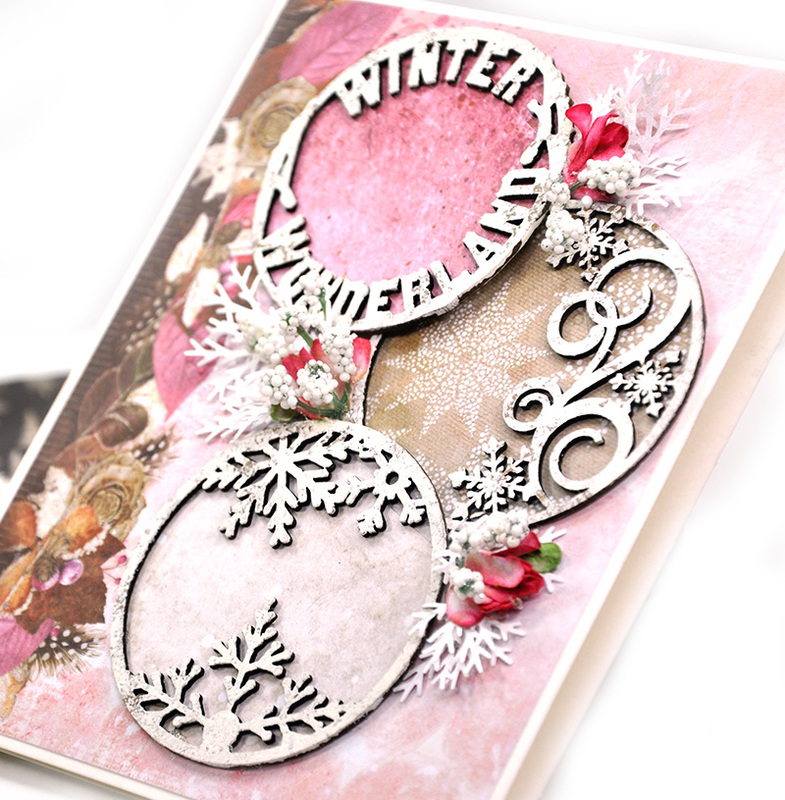 The pink card features the cool new trendy Winter Artist Trading Coins. I'm obsessed with Creative Embellishments newest collection of ATC's- Artist Trading Coins (a cool new take on the Artist Trading Cards) because they can be used for so many projects and in my opinion are not as limiting as the traditional ATC. Check out the complete collection of coins here. I've been using the trading coins as shaker cards, ornaments, card embellishments and even as a pop-up card...(tune in tomorrow's post for the pop-up card. Chipboard doesn't need fancy treatments to be beautiful. Mine are quite simple - painted white and layered. 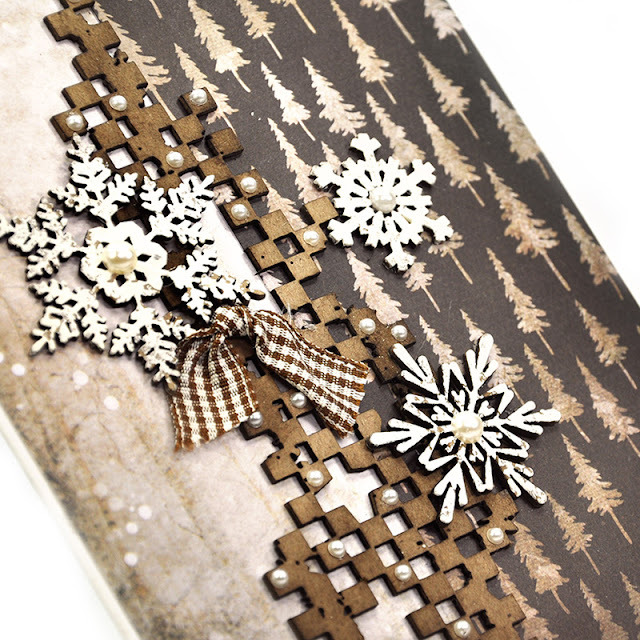 The brown card features Large Snowflake Set and Checker Border dotted with pearls for a snowy touch. These cards were created using StudioLight- Winter Days 6x6 paper collection. Shop for all your Creative Embellishments Artist Trading Coins here.